Making and redesigning websites in need of an update is our forte. We work with youto ensure satisfaction down to the very last detail. We offer professional Vermont Web Design and Dedicated Hosting Solutions at lower prices than our competitors. We can help you set the foundation for your social media outreach, and provide you with consultation that will maximize the results of your Social Media Marketing efforts. In the "New 21st Century Economy" you can't afford to not have a social media strategy... Let us build one for you, or consult with us to learn how to do it yourself. SEO is how we make your website relevant in the major search engines (ex. Google, Bing, Yahoo, etc.) for the keywords of products and services that have to do with your business. We optimize the Search Engine Optimization of your website (by page) to rank higher in the search results for YOUR business' "Money Making" keywords, which will attract new customers and increase sales. In today's digital marketplace, nothing sells as effectively as video! Having your companies videos on YouTube is the perfect way to drive targeted traffic to your website and increase your sales. We help you bring your market exposure to the next level with affordable Video Marketing Services that showcase your business. WordPress is the industry standard Blogging Engine / Website Content Management System. We specialize in converting your old website design to WordPress, empowering you to easily manage your daily web content using the WordPress platform. We help grow your email list with 'opt-in forms' and increase overall sales through use of cleverly optimized Email Marketing Services. Don't leave money on the table because you didn't have time to act on all your new leads. We show you how to send an automated feed of important product/service information to their inbox so you can kick back and watch your sales explode! Wholeaf.com is THE SOURCE for premium Whole Leaf Tobacco from Connecticut. This is one of our big SEO clients, who we have ranking in the top ten of Google for their 'money' keywords. 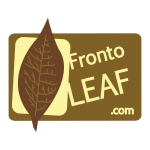 FrontoLeaf.com - This website is an extension of the SEO strategy behind Wholeaf.com. The creation of this search engine optimization website and it's social media presence has significantly increased lead generation and the creation of new customers for Wholeaf Tobacco! A source for news, education and information on the cryptocurrency industry and the future of money. Another huge beneficiary of our SEO services. 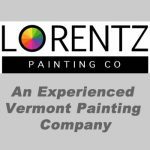 Finally... An Experienced Vermont Painting Company You Can Trust. Residential and commercial painting services based in Rutland, Vermont. Caleb Wright's personally branded blog about Social Media Marketing strategies, Internet Marketing techniques, the cryptocurrency industry and more! The premiere commercial & residential Nantucket cleaning service. Located in Nantucket MA., Ocean Breeze Cleaning has long been the number one solution of local island business and property owners. • Master of Art from Goddard College in Plainfield, VT. Source A Local Vermont Website Design Company That Will Go The Extra Mile For Your Small Business. We are a local Rutland, Vermont Website Design Company that will you grow your business online affordably… We care about your success! We provide Vermont Website Design Services that empower you to lower your costs of website maintenance. We building you a website that has a Content Management System (CMS), which is a friendly user interface that you can use for blogging and making daily updates. WordPress CMS is the industry standard content management system for websites used by Fortune 500 companies. WordPress is not only for the elite, but it is a superior website system for any small business. We will provide you with world class training on how to use your new website. Once your website is up and running it will need to be Search Engine Optimized. Our Vermont SEO Services include keyword research, where we figure out what keywords your customers are searching when looking for your category of product or service. We prioritize the relevant keywords and choose pages on your website to rank for the different terms that we found. We’ll help you write the on-page copy for whatever keywords you desire to rank for in Google. Our Vermont Website Design Services are perfectly complemented by our Search Engine Optimization expertise. We offer a full spectrum of web solutions for small business, from Social Media Marketing Consultation to Pay Per Click Advertising Campaigns. As the saying goes “The money is in the list”… as in your email list. We don’t let that piece of advice go to waste as we are very big on email marketing. We’ll help you save time in your business by setting up autoresponders that send information of value and special offers to your customers. Our Email Marketing Services are the perfect way to stimulate customer engagement, increase sales and daily website traffic. Our Vermont Website Design Services also include Video Marketing Consultation and implementation. We offer comprehensive Video Marketing Services, we produce the video, upload it to YouTube and optimize it to rank for the keyword of your choice. However if you’d like to average your costs down over time, to just your own time and labor… we are also available to train you on how to produce simple yet effective videos that market your business to the world via YouTube. This is also an excellent way to feed traffic back to your home page, or elsewhere. At Common Wealth Web Solutions, We Provide Vermont Website Design Services For Small Business. Call us at 1.802.444.0667 to get started expanding YOUR business online TODAY!